THIS IS A REPEAT BREEDING. These XXL Pit Bulls Puppies come from the Best Champagne Pitbull and Bluenose Pitbull Blood on earth. Breeding The Best of the Best is what ManMade Kennels works hard to do. 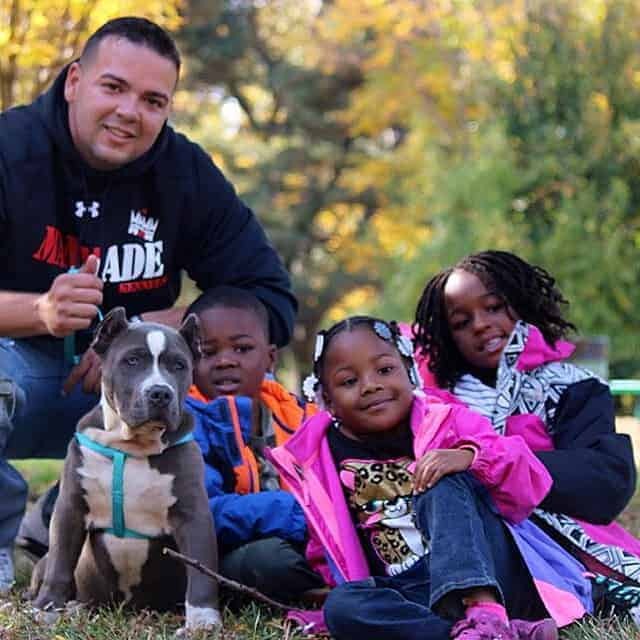 ManMade Kennels is committed to being the best Pitbull Breeders in the world. 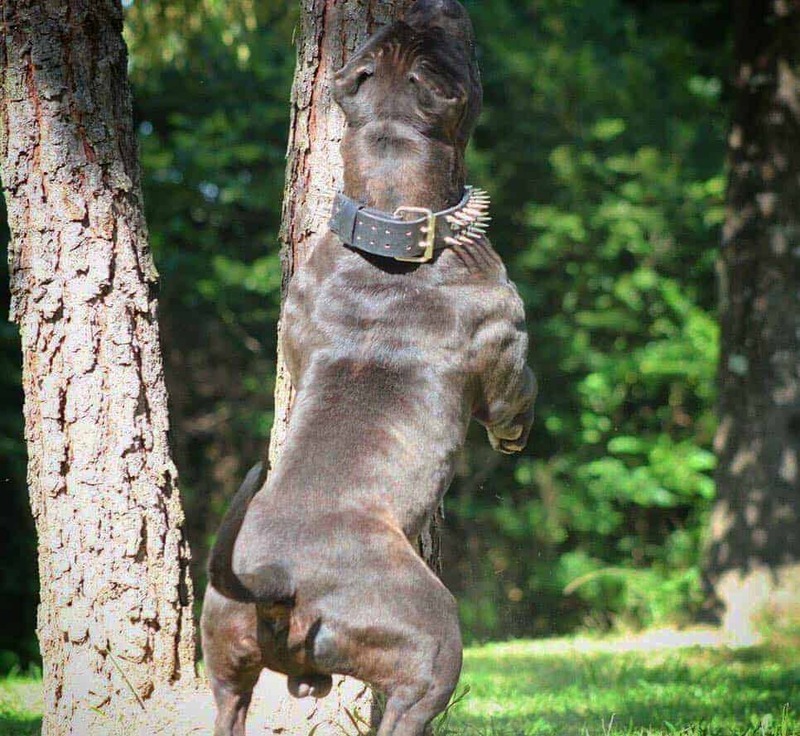 With every breeding we strive to breed the Best Pit bulls in the world. 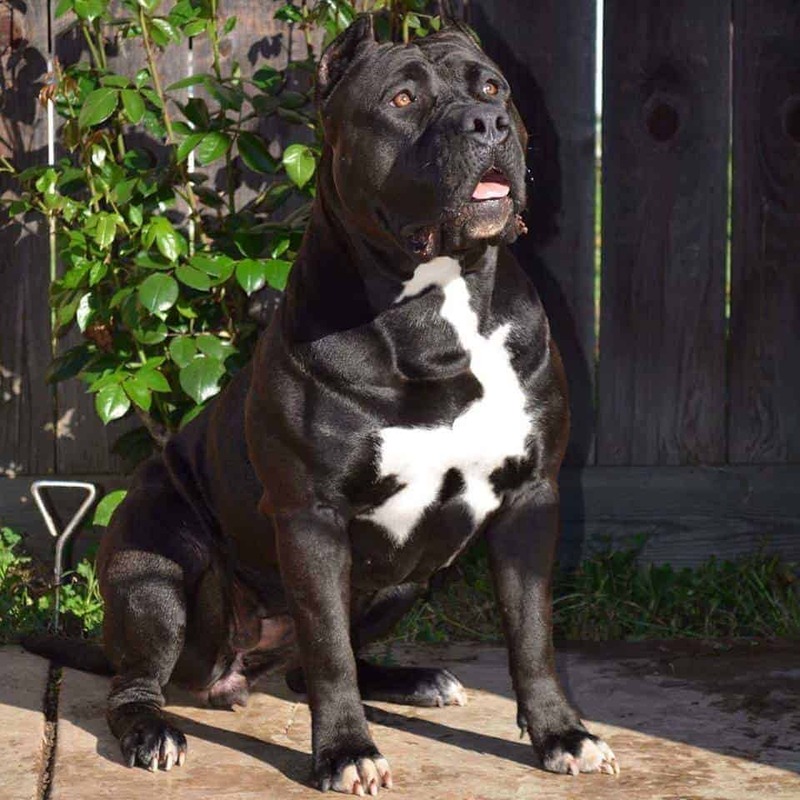 Big Shadow is a 165Lb XXL Bluenose Pitbull & is the perfect dog, built for families. 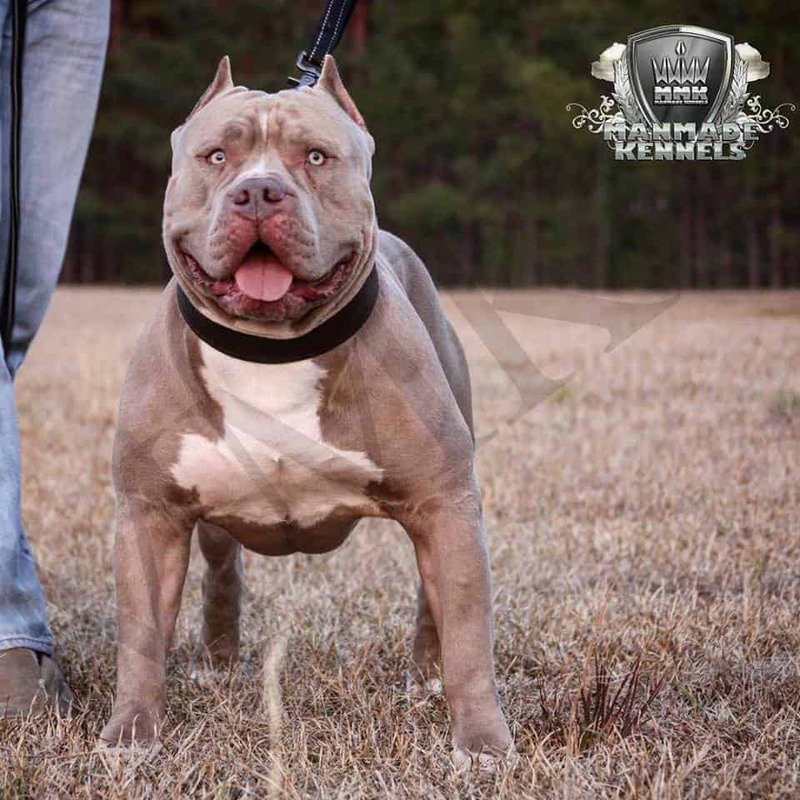 ManMade Kennels Zombie is big strong and also daughter of the World Famous ManMade’s King Leondius produced right here at ManMade Kennels. When you put these to together, you get nothing short of greatness. These two have a pedigree most breeders strive to work towards achieving. 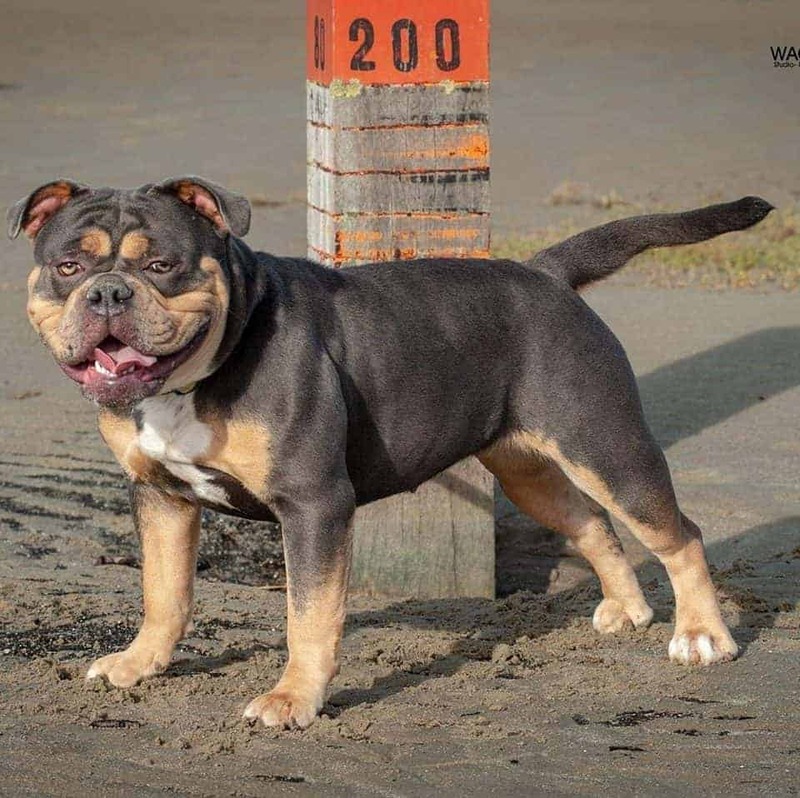 When it comes to BIG STRONG ATHLETIC Pitbull Puppies, this is one of the best breeding you will find in 2018. These puppies are what we call FOUNDATION Pitbull Puppies. Call 302-272-3625 (MMK’s Eddie) for pricing information. 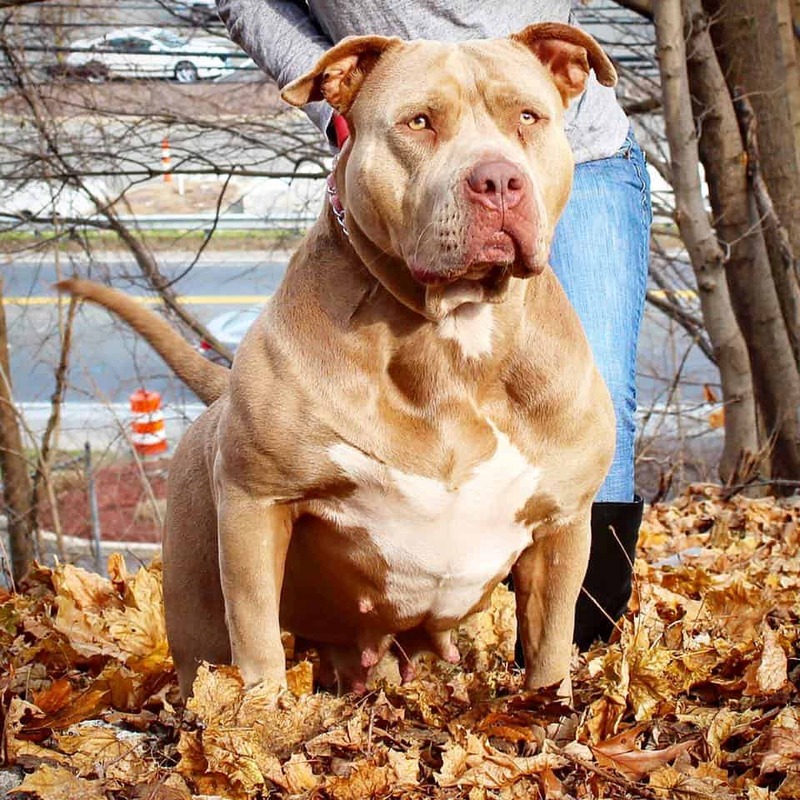 ManMade’s Fiona (MMK’s Zombie Daughter) | RBG’s Megladon These XXL Pit Bulls Puppies are fully loaded. Fiona comes from a World Famous Pedigree and Megalodon is the son to one of the greatest XXL Pitbull Producing bloodlines ever. 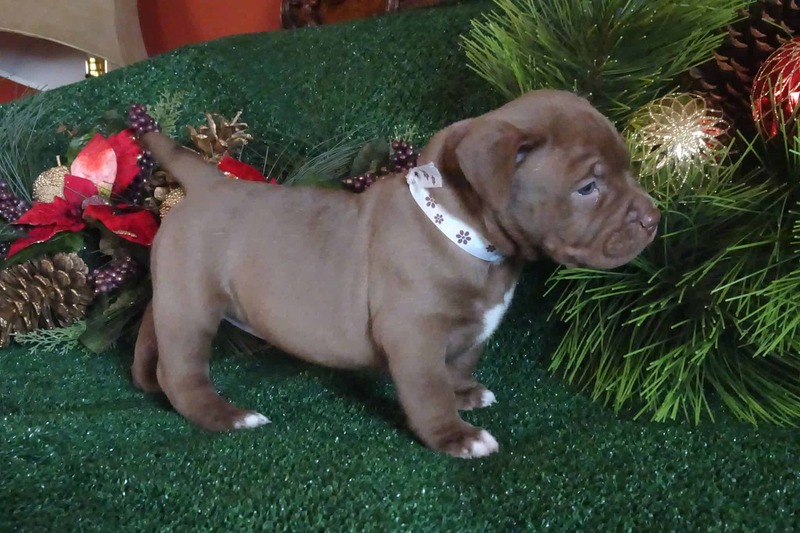 These Champagne and chocolate Puppies come with the best Pitbull Blood on earth. Breeding The Best of the Best is what ManMade Kennels works hard to strive for. 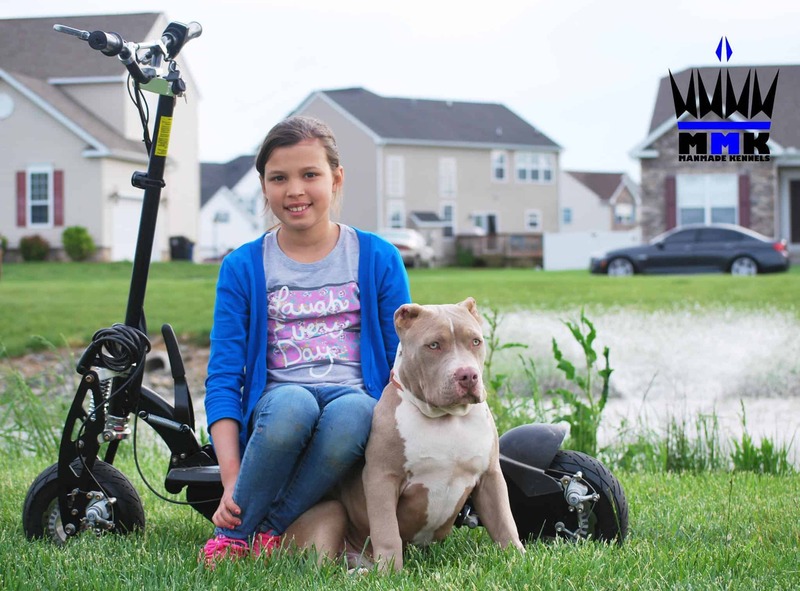 We are Pitbull Breeders that love to make families whole. 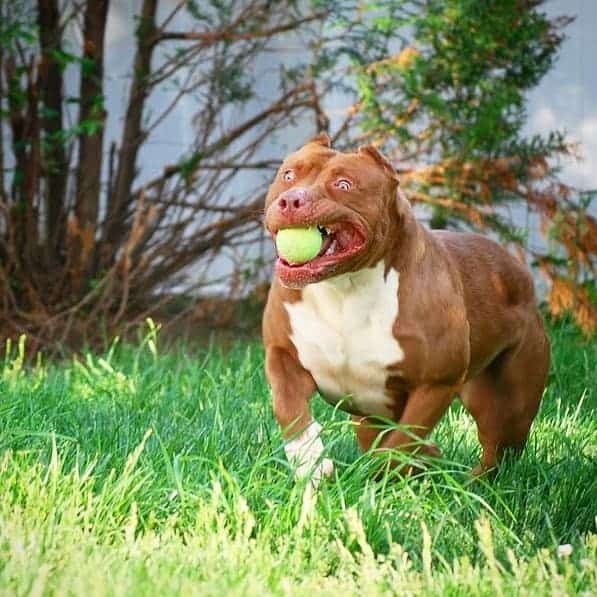 We strive to breed the Best Pitbull in the world. 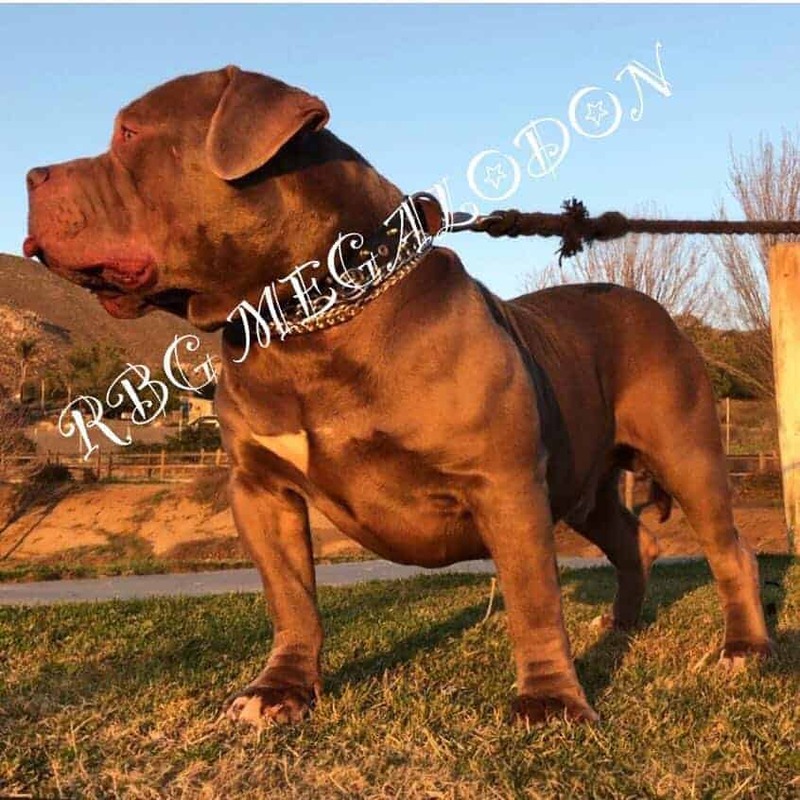 Megalodon is the One of the Best XL Champagne Pitbulls on Earth. Fiona is big strong and also extremely loving. When you put these to together, you get nothing short of greatness. 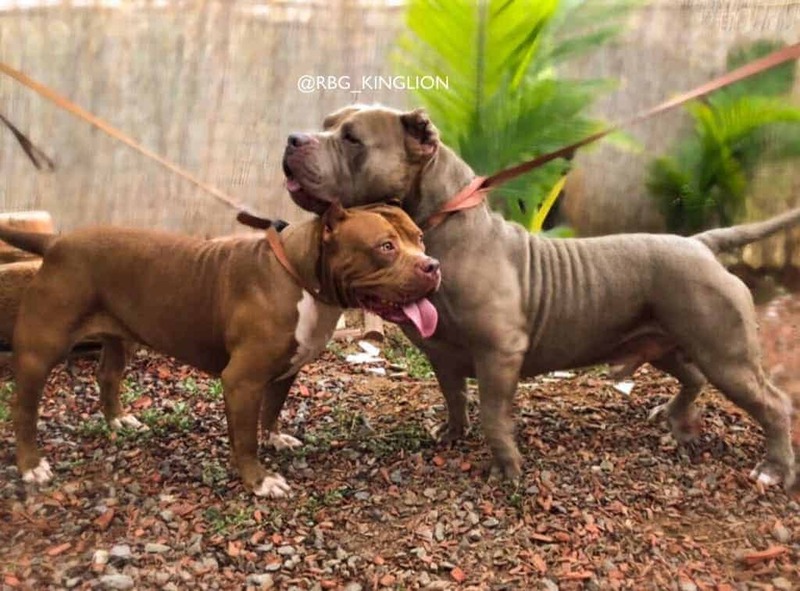 These two have a pedigree designed to produce some AMAZING XL PITBULL PUPPIES. 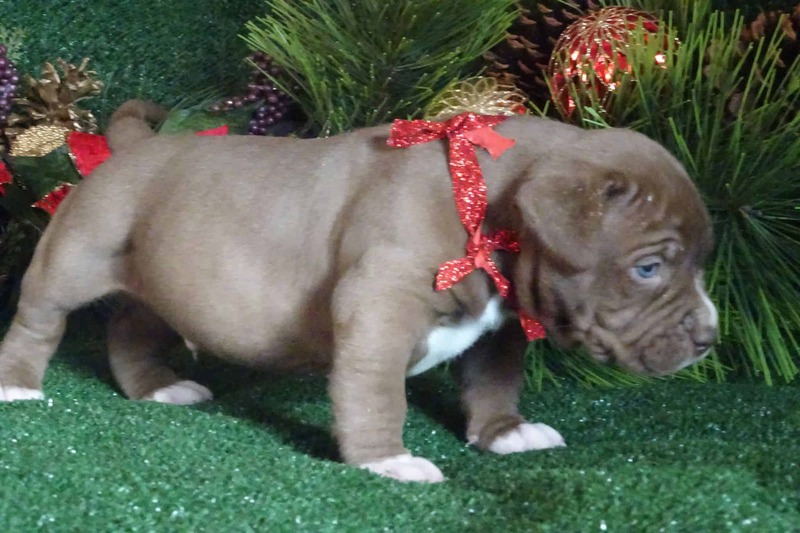 When it comes to BIG STRONG LOVING Champagne Pitbull Puppies, this is the breeding you have been searching for. These puppies are what we call FOUNDATION Pitbull Puppies. 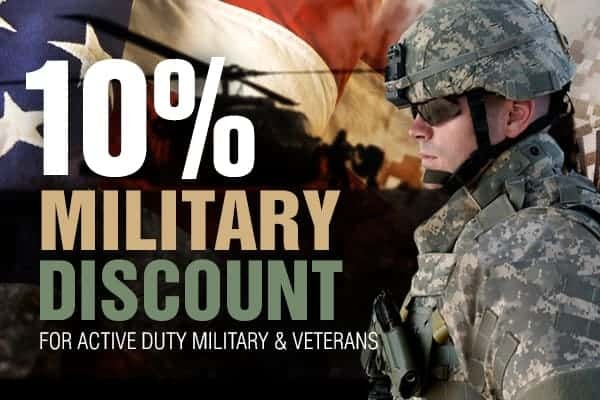 Call 302-272-3625 (MMK’s Eddie) for pricing information. 110lb Pandora is the daughter of ManMade’s Zombie and Muscled Up Kovu. She is the perfect XXL PITBULL full of muscle and love. She is a great guard dog always willing to please. She is a extremely strong XL Pitbull and loves to be loved. Her and 165lb Shadow are going to bring alot of color to the Pitbull puppies. We are expecting Champagne Pitbull Puppies, Chocolate pitbull puppies, Blue Pit Bull puppies, and maybe even some Black pitbull puppies. 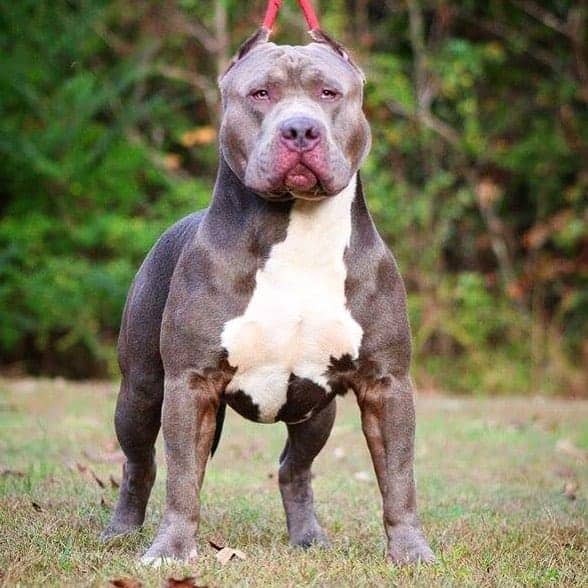 These XXL Pit Bull puppies are due the beginning of March 2019. Click Learn Manmade’s secret to a healthy dog! 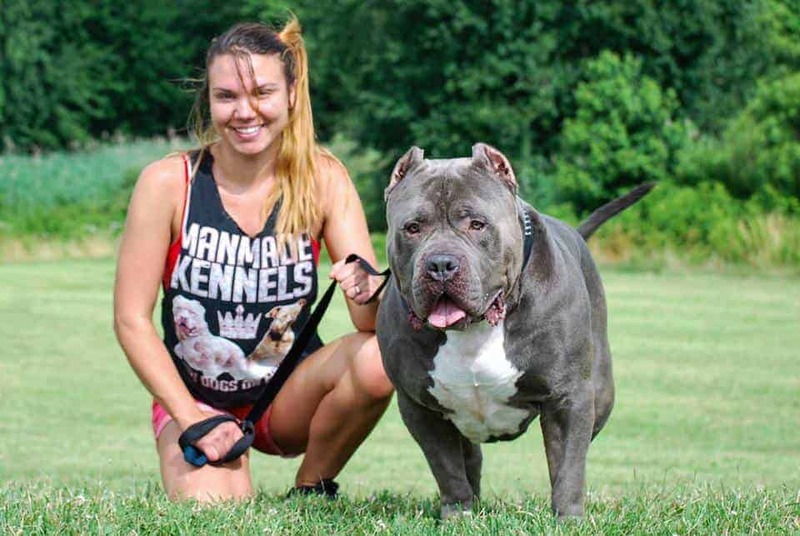 ManMade Kennels is not your everyday Pit Bull Breeding Kennel. Our Breeding program is specifically structured to produce Big, Healthy, Extremely Loving Family dogs; that possess extraordinary temperaments. 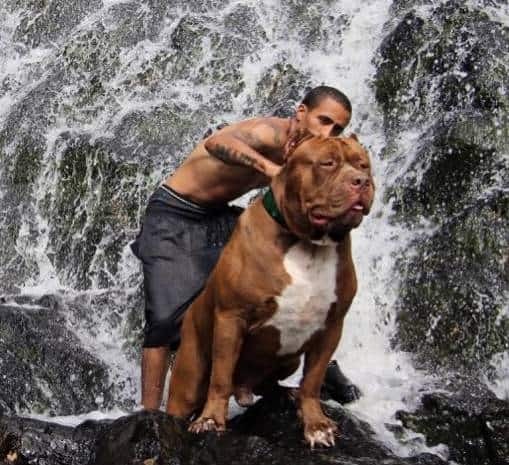 These XL Pit Bulls truly are one of a king and are like nothing you’ve ever experienced before. Not only are you getting a loyal companion, but here at ManMade Kennels you become part of OUR FAMILY. We have a private community of ManMade Family members from all over the world. This community of ManMade Puppy owners share their special moments (as well as your special moments) with each other every step of the way. 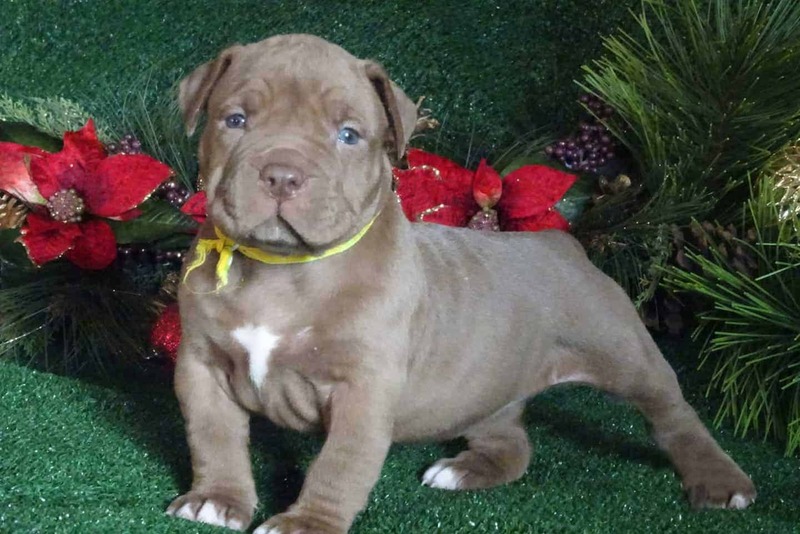 We specialize in creating the Best XL Champagne PITBULL Puppies in the world. 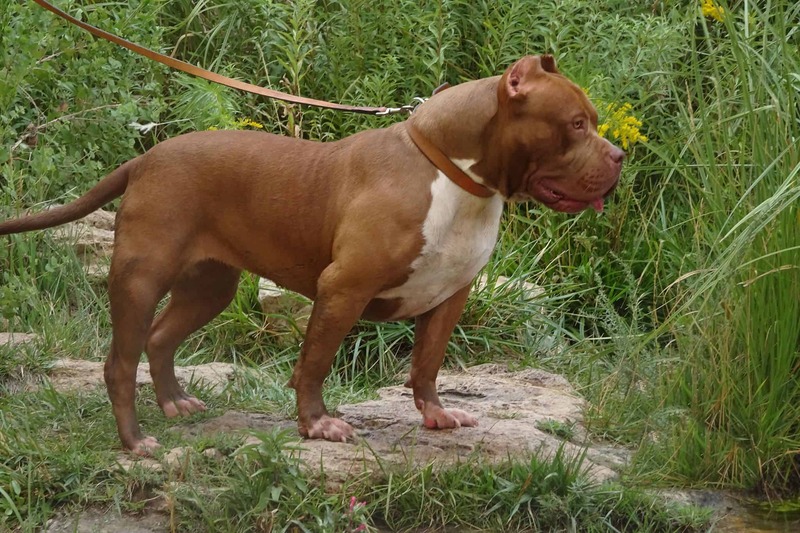 We have been producing the best XXL Pitbull Family dogs for over 12 years. Many of our new productions are rising stars in the XL Pit bull World. The future of the Champagne Pitbull puppies, Bluenose Pitbull puppies, Chocolate Pitbull puppies, Lilac Tri Pitbull puppies, Champagne Tri Pitbull puppies, and many other amazingly beautiful colored Family dogs Is right where its supposed to be; Here with the ManMade Kennels Team and in Phenomenal hands. 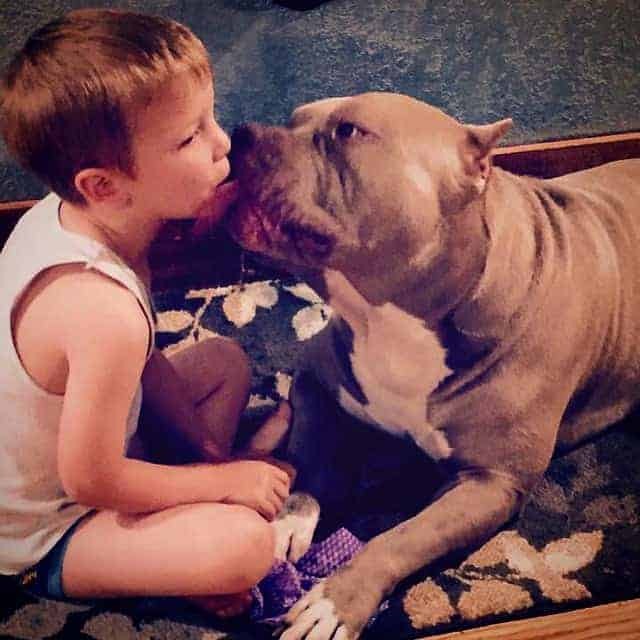 ManMade Kennels Pit Bull Breeders are highly trained in many levels of Animal Care. We focus on the overall Health and Wellness of our Pets and our Family members. 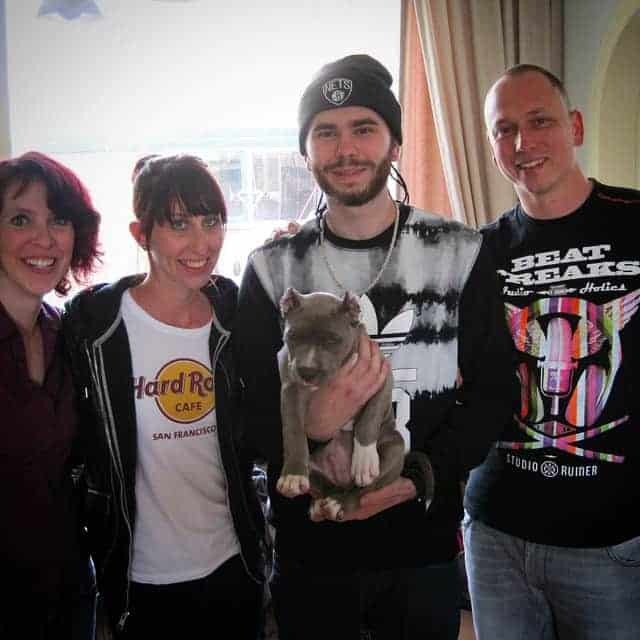 Call Edward From ManMade Kennels Today, and join the Best Pitbull Family in the world. 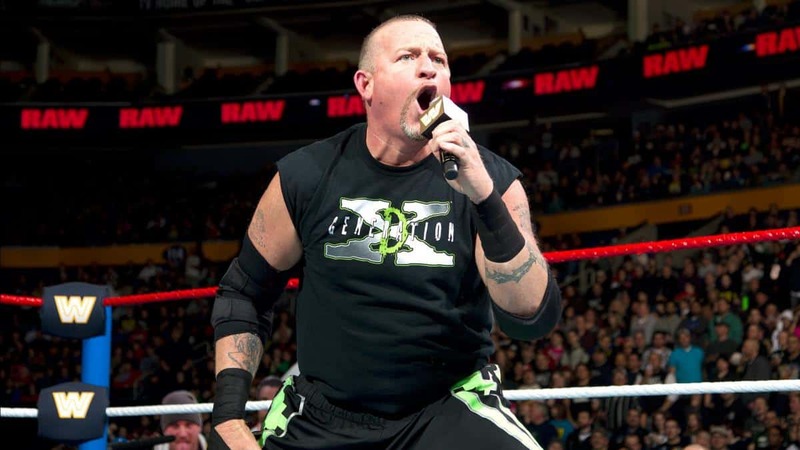 Come Join, MANMADE KENNELS…. THESE PUPPIES ARE THE FUTURE! 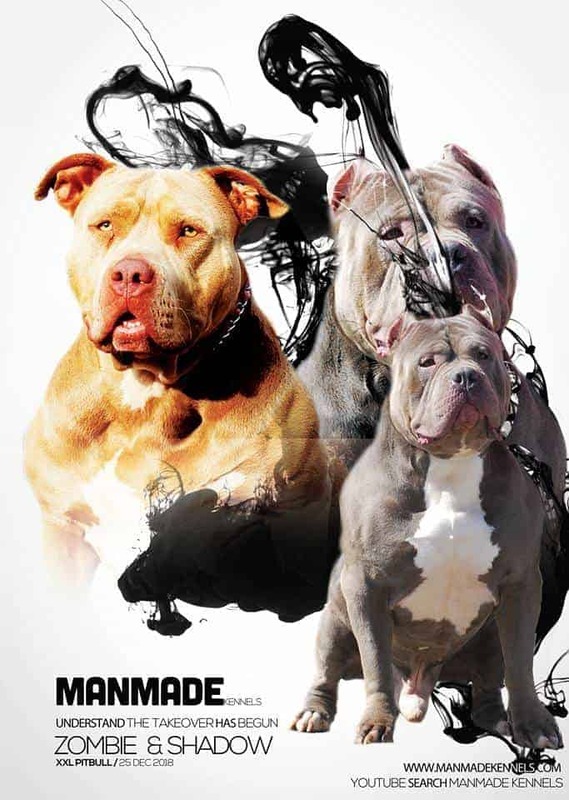 DDK’S HULK X MMK’S CALI are two of the BEST XXXL PITBULLS on the planet PERIOD… They are super SIZED, super loving, and have a super pedigree. Who ever gets a puppy of this litter is INSTANTLY a owner of The Best This world has to offer. When it comes to owning the Best Of The Best, this litter sets the standard. 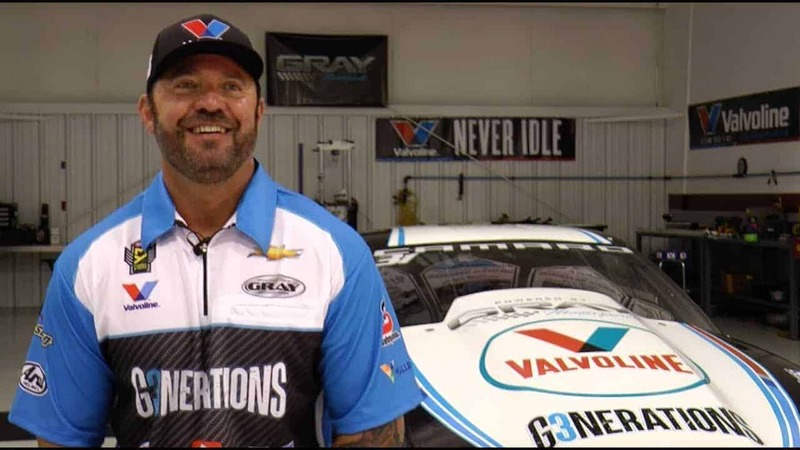 Call EDDIE 302-272-3625. Thank you in advance. ALL BUYERS WILL BE SCREENED. 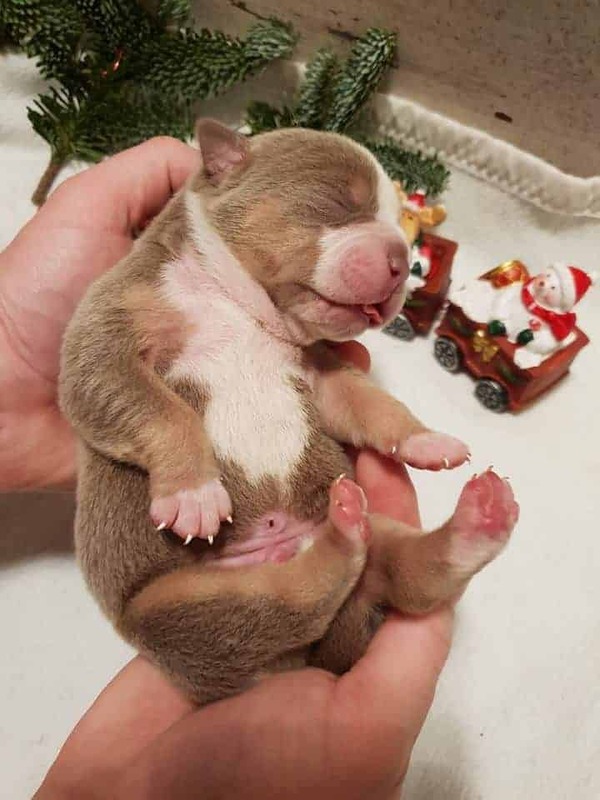 "The Best Dogs On Earth, Have ManMade Kennels In Their Pedigree"
If you looking to own one of the Best Pit Bull Puppies On EarthXL Pitbull Puppies On Earth, You’ve Come to the Right Place. We don’t just produce dogs that look beautiful but our offspring have LITTERALLY the best pedigrees in the XL world. When you get a ManMade Kennels Puppy you also become a member of the BEST MANMADE FAMILY on Earth. All our owners are members of a private ManMade Community. 24/7 Answers to all your questions. Share pics/stories/videos/and have a real dog family that cares. 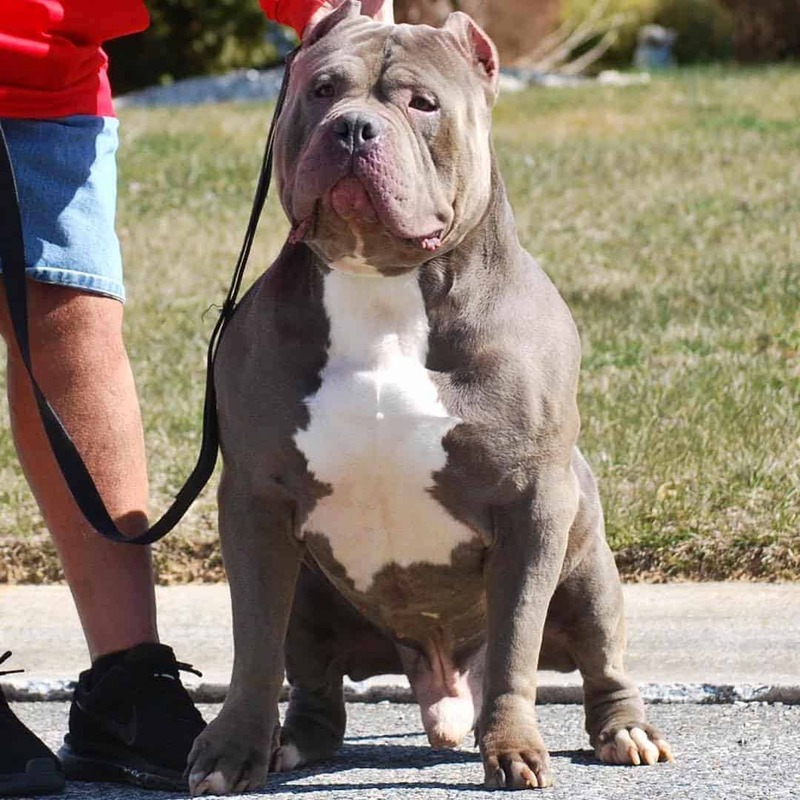 The Riddick is a proven producer of some of the Best XL AND XXL Pitbulls On Earth. We currently have him available for stud. This pitbull jas muscle for days and big heads and bone. He also produces pitbull puppies of all colors. His Male Puppies to range from 100Lbs to 130Lbs as of right now. Pics of the XL Pitbull Puppies are coming soon. ~ Its Not Just How You Raise Them, Its How You Breed Them. The Bloodlines behind ManMade Kennels are second to none. 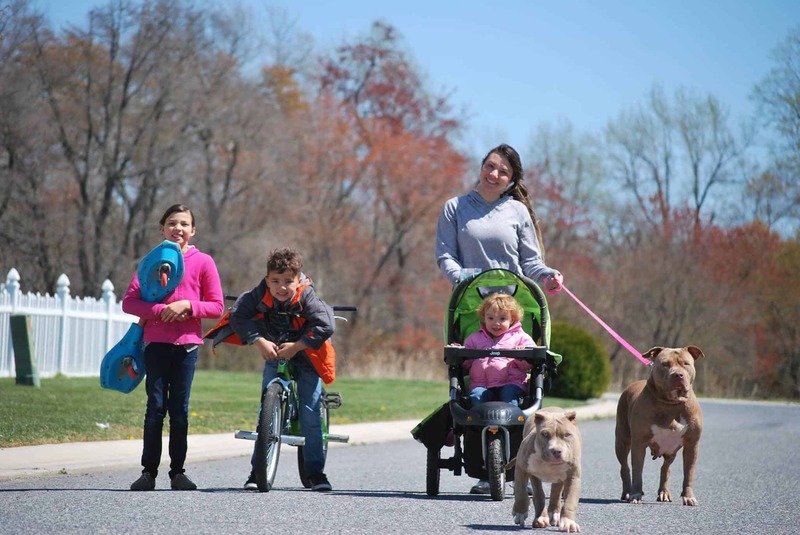 Our dogs are temperament bred for the best Pit bull Families On Earth. Our PUPPIES ARE always well taken care of and arrive with their families in Excellent health and A CUSTOM gift bag designed for the pup and his or her new family. 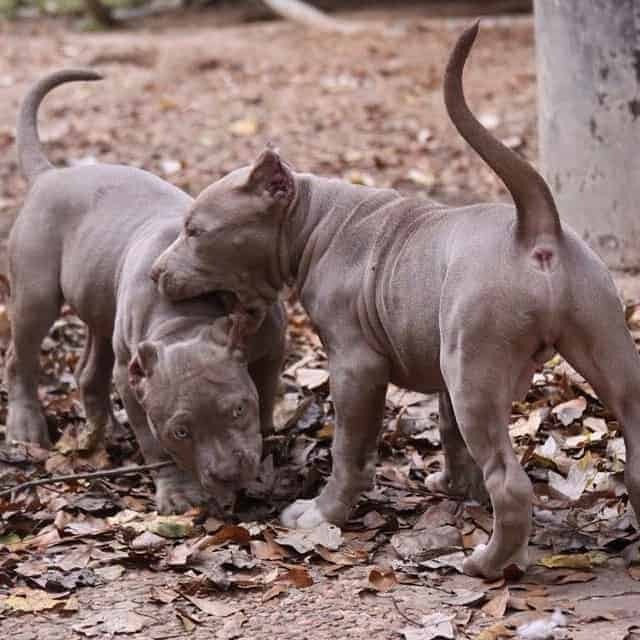 These pitbull puppies are going to be amazing; Why? because everything The Riddick produces is amazing. ~The Best Dogs On Earth Have ManMade In Their Pedigree. “SHADOW” IS THE NEWEST ADDITION TO THE MANMADE KENNELS BREEDING PROGRAM. HE IS CURRENTLY OPEN FOR STUD. 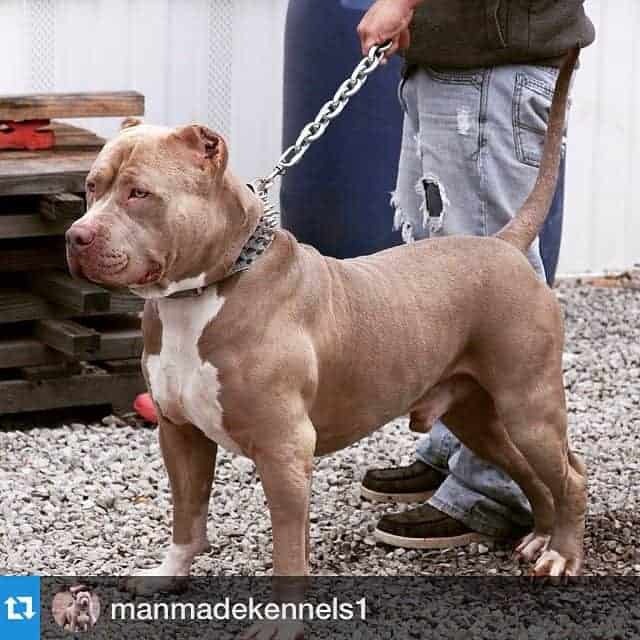 CALL MANMADE KENNELS AT (302) 272-3625 FOR INFO. 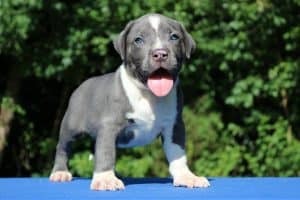 XXL BLUE NOSE PIT BULL, BIGGEST BLUE PITBULL ON EARTH, XL PITBULL PUPPIES FOR SALE. Our litters sell out fast, if your looking for an amazing pitbull puppy call us today. 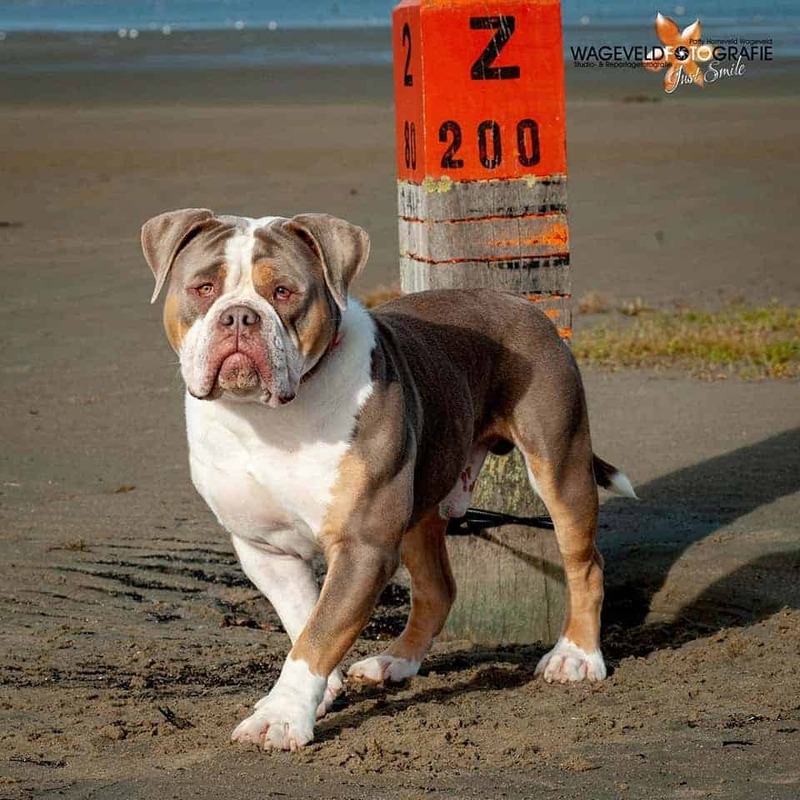 We have been around for over 10 years breeding the best XL Pitbull and English Bulldogs around. Call ManMade Kennels Eddie for more info we will take great care of you. If we don’t answer just leave a message or send a text. We will get back to you as soon as we gets a minute. ( Especially a Champagne Puppy ) can be challenging. ManMade Kennels works hard to ensure you feel less like a customer and more like a family member. 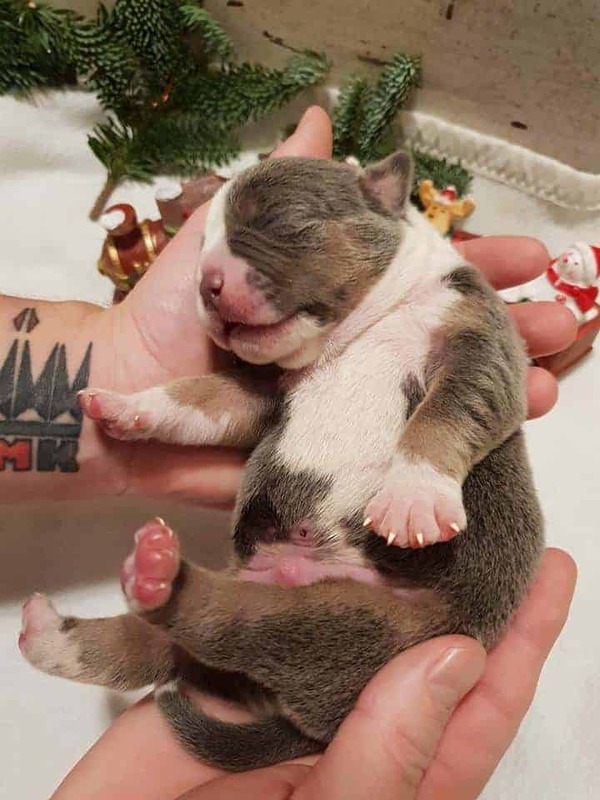 When purchasing the perfect puppy (or puppies) from ManMade Kennels, you will have access to a 24 hours a day, 7 days a week team of Family Members. You can take advantage of the Private ManMade Family Community or pick up the phone and call the owners of ManMade Kennels Directly. We have produced hundreds of dogs, and have a great group of dog breeders that are always willing to share information to better the breed. 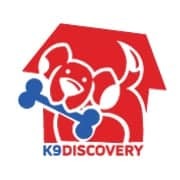 We don’t only sell dogs, for instance; if you were just looking for a friendly companion from ManMade Kennels we also have a dog adoption program. This program is designed to support all ManMade Family Members. 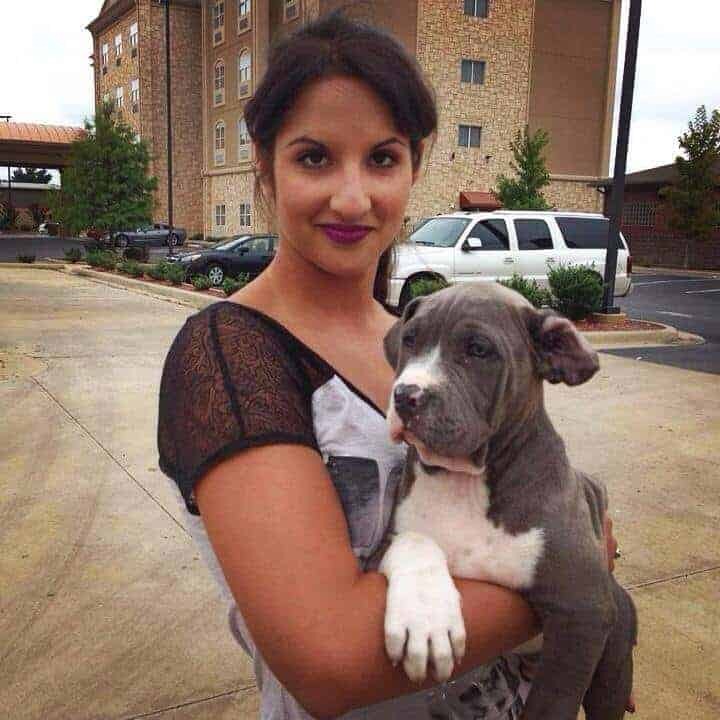 The way it works is simple; If something were to happen to a ManMade Kennels Family member and they needed to re-home their puppy/dog. They can proceed to contact families that have signed up for our adoption program. Note: These families will become members of our private community and will inherit all benefits that come along with an MMK puppy. We want to thank you for visiting our puppy for sale page. We hope you enjoy our videos and photos. Our puppies are hand delivered all over the Unites States and can be shipped worldwide. All our puppies will receive a the USDA Health Certificate prior to leaving the country. Upon delivery (USA) the puppy will be fully up to date on his/her immunizations. We hope that you enjoy our site and please don’t hesitate to leave us a message if you have any questions. SO WHAT IS PUPPY LOVE? Puppy love is an intense bond that is instantly created between a potential puppy seeker and a sweet curious loving puppy. WHAT IS A MANMADE PUPPY? A puppy selectively breed for the intent of providing a wonder family with a loving/loyal/healthy life long companion.